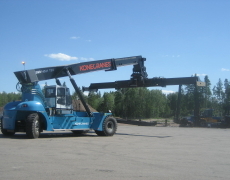 If you want to find out about companies in the Forklift or Materials Handling Industries go to the website www.forkliftaction.com and Step One…..in the orange bar, type in the company name. Step two, click for news stories, articles, company overview, contact links and what the industry is discussing about that company. 19,000 people search Forkliftaction daily.